Give your sundowners great company - our recipe for Gin & tonic with Matured Cheddar, crackers & olives is hardly a recipe - but a strong recommendation. Gin & tonic has been the prefered end-of-the-day refreshment since the great explorers, and the tangy drink goes really well with the sweet and nutty cheddar. Add Ice and Cucumber slices into glasses and pour Gin and Tonic on top. 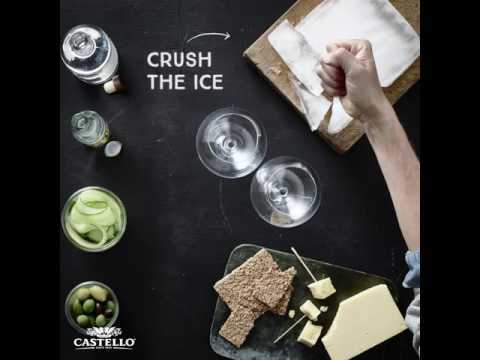 Serve drink with Castello Tickler Mature Cheddar, Crackers & Olives. Try to serve the Gin & Tonic with a Big Rocky Chunk of ice.